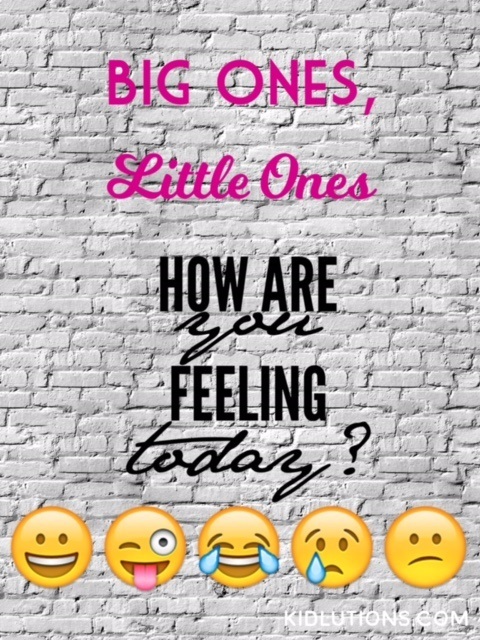 Big Ones, Little Ones: How are you feeling today? 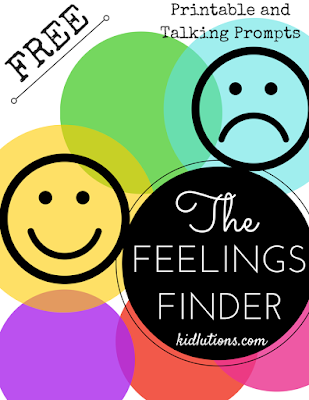 Big Ones, Little Ones: How are you feeling? As a therapist, I spend my days knee-deep in feelings. Big ones, little ones, upbeat ones, downcast ones...from elation to the muck and mire...all of those feelings are played out on a daily basis. Yes, dealing with feelings has been my life's work. It's the one thing that brings people to my office...FEELINGS. Usually pretty big ones. The kind of feelings that we trip on, the ones that hold us back in life and interfere with us living the kind of lives we had envisioned for ourselves. Click to tweet: Feelings can be challenging. Really challenging. @Kidlutions can help! And feelings can be challenging. Really challenging. Especially if you aren't used to dealing with them. That's why I'm so glad we are only limited by our imaginations when it comes to helping others deal with them. 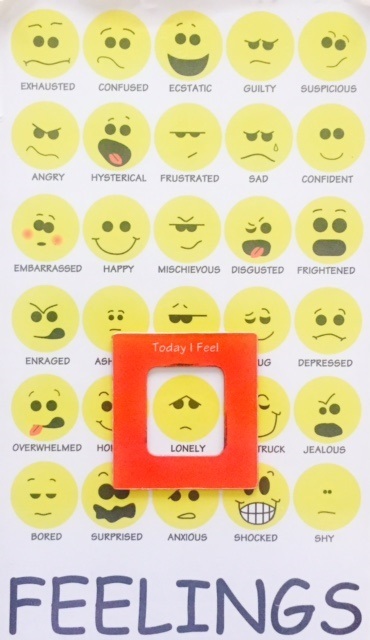 Take the magnetic feelings chart pictured above. It has sat quietly on the outside of my supply cabinet in my office for years. Though it says nothing, it speaks volumes. It's garnered lots of attention. Attention from young and old alike. Teeny tiny hands and rough, weathered hands have held onto that chart, pouring out what was in their hearts, even when they had no words to describe it. 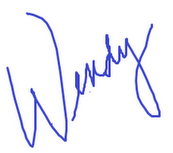 The chart is guide into uncharted territory for some. It matters a whole awful lot, maybe more than you've ever imagined. Being able to navigate these sometimes messy parts of being human is what determines our happiness (and even success) in life. True story. It's why there is such a push in most places to make sure kids learn about social-emotional development. It's why early childhood programs and home visiting programs focus so much on social-emotional skill building. Our mental health is directly related to social-emotional skills. Click to tweet: The better we can manage our emotions, the happier our lives! How do you help your kids (and yourself) deal with feelings and social skills? toddlers to teens deal with feelings. ideas and resources that can help. You can find all of our resources in our shop HERE.